According to film trade analyst Taran Adarsh, "Kesari" has become the fastest Rs 100 crore grosser of 2019. 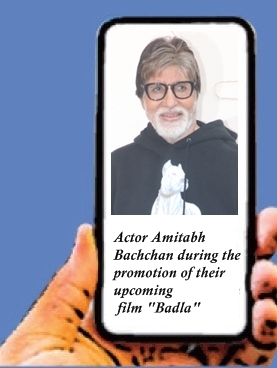 He tweeted: "'Kesari' ... crosses Rs 100 crore on Day 7 ... Thursday Rs 21.06 crore, Friday Rs 16.75 crore, Saturday Rs 18.75 crore, Sunday Rs 21.51 crore, Monday Rs 8.25 crore, Tuesday Rs 7.17 crore, Wednesday Rs 6.52 crore. Total: Rs 100.01 crore (India business)." The movie, backed by Dharma Productions, depicts the bravery of 21 Sikhs of the 36th Sikh Regiment (now the 4th Battalion of Sikh Regiment) of British India defending an Army post against more than 10,000 Afghan and Orakzai tribesmen. Akshay expressed his happiness with a tweet: "It's been overwhelming, this journey of 'Kesari' and your love." Karan Johar is elated over the successful run and shared: "Thank you for believing in the spirit of 'Kesari'." The movie, directed by Anurag Singh, is doing good globally as well. Distributed by Zee Studios International, the film has released in over 60 countries and in over 625 screens. The film raked in over $2 million at the international box office, read a statement. On the film's business, Vibha Chopra, Head - Zee Studios International (Film Marketing, Distribution, and Acquisition), said: "There is an incredibly large audience across the world that appreciates a visually stunning cinema combined with a powerful narrative and we have received an overwhelming response globally."